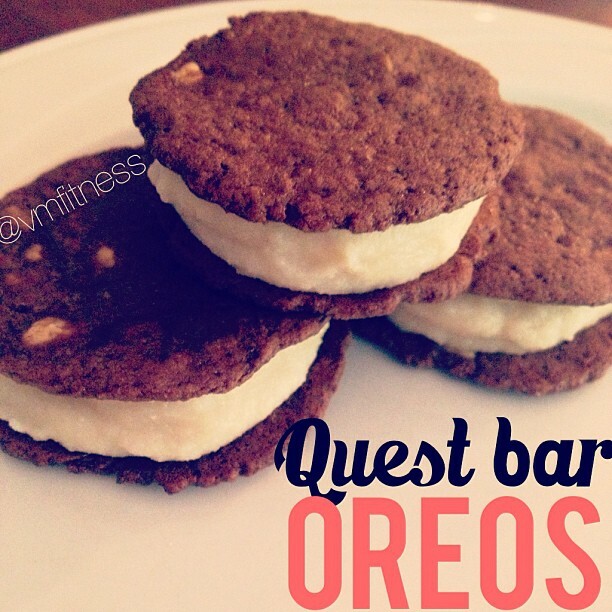 VMfitness: Mmmm Quest Bar Oreos..
Loook at these DELICIOUS PROTEIN OREOS I made using a QUEST BAR! Yesss so if you can't tell, I'm simply obsessed with their company. Got a delicious sample box on my doorstep the other day so I was thinking of allll the different things I could come up with! And today I made OREOS!